Sophisticated colors with plaid pattern define this bag. 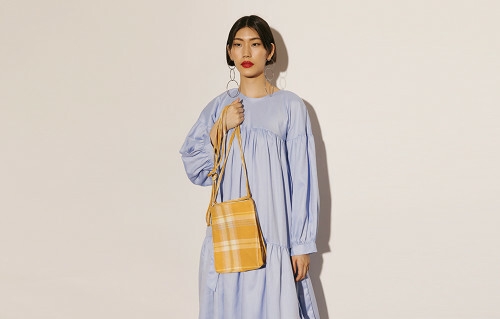 This mini bucket bag is made from fabric that's untreated so it will wear beautifully over time. Comes with adjustable length, you can wear this bag as tote bag or sling bag.